Stay extra warm and cozy on any adventures you have this fall and winter, with the Wanderlust scarf! So many of you mentioned that you loved the Wanderlust beanie, and how simple it was to make, that I had to design a scarf to go with it. Just like the hat, this unisex scarf is made with the Lion Brand “Heartland” line, which I can’t talk about enough. It’s my current favorite yarn, and no I’m not being paid to say any of this! The slight variations in color really make a finished piece look special, and I’m all about looking “expensive” while not breaking my budget! In addition to the two different scarf options in today’s post, I’ve also included finishing ideas for both tassels and fringe if you think it needs some extra pizzazz. Unfortunately, it’s been very smokey up in my neck of the woods, and good lighting has been in an issue, so the details aren’t popping out as much in these pictures as they should in real life. If you want to get a better idea of the texture, then take a peek over at the matching beanie. That picture gives you a much better idea of how the texture for this scarf will turn out. hdc in the 3rd loop: work all stitches for the round in the 3rd loop of the hdc from previous row. Instructions (when looking at your completed row, before you turn): Look at the top of the stitch, and locate the sideways “V”, bend the stitch to look at the back, and you should see another “V”. You’ll be working into the back loop of that “V”, this is called the 3rd loop. -If you would like to make a cowl, or infinity scarf instead, I’ve included those instructions below the regular scarf instructions. You will be working in the round, so things will be slightly different, and constructed more like the matching Wanderlust beanie. -You could even make this into an afghan! Try a starting chain of 268 for a 7 ft wide blanket, and 305 for an 8 ft wide blanket. Keep repeating rows 2-6 until your blanket is as long as you’d like it. This pattern is written in multiples of 2 + 1. You will now work what looks like the opposite post stitch around post stitches from row 4, ie. front post sts around back post sts and vice-versa, but because of the row turn you are actually working the same stitch sequence as you did last row. This creates the bumpy texture that is famous to this scarf. Cut 18 12″ pieces of yarn. Tie piece of yarn around the center of the strands Fold in half and tie another piece of yarn around the tassel, about an inch or so the top. Attach each tassel securely to a corner of the scarf. And for more crochet fun, check out my Facebook group, because there is much more crotchet fun there! I’d love to see a picture of your finished scarf, so post a picture! This pattern was made to be used by individuals, as well as small business crocheters alike. Therefore, selling your finished pieces in boutiques, at farmer’s markets, craft shows and other events is encouraged! However, I do require is that it not be used commercially to produce millions of copies. 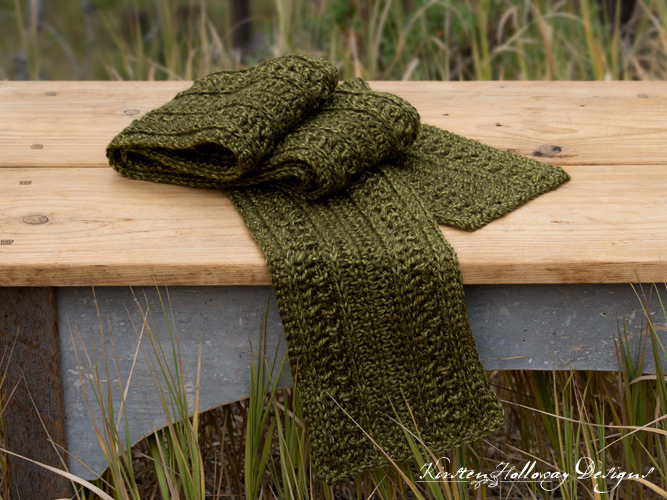 This wanderlust scarf post may contain affiliate links, so I can keep these posts free. When you purchase something using these links a small amount of the sales price goes to me to help keep this site, and the patterns on it free. However, you do not pay any extra for the item you purchase. I work in a small yarn shop and have a group of ladies who would like to improve their crochet skills. 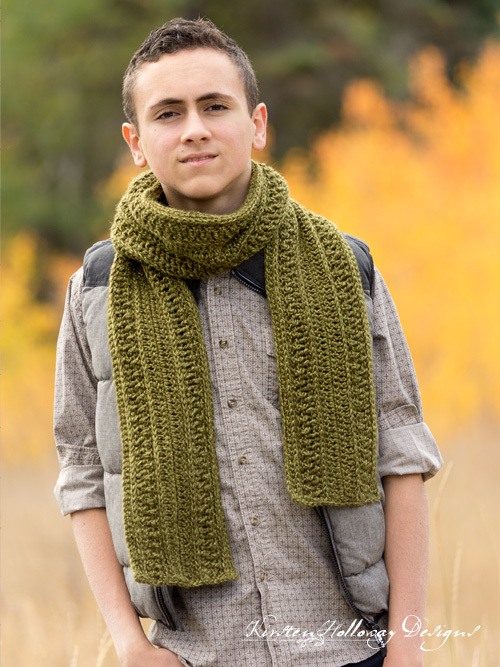 I am planning a class for them and was wondering if I may have your permission to use the Wanderlust scarf pattern in the class. I try to crochet tour pattern for the scarf but i have a question….when you wrote 229 sts…..do you count the ch1 or not? ..i will re-begin….and i will see?? thank you very much for your help……your pattern is beautiful? Can you help explain row 3? I am not sure if the 3rd loop of the hdc is at the top of my work or bottom. I’m struggling with row 3 and row 7 – they’re not lining up on the same side of the scarf. What did I do wrong? I’m not entirely sure what happened, but it may be where you hdc in the 3rd loop. You will be working in the back of the stitch, however when you turn the piece at the end of the row, the 3rd loop will end up being in front. Ok I think that is what I missed the first time around! Is row 7 in the back as well? Hello Kirsten! Wow, what a beautiful scarf! I’m taking it to my sewing/crocheting group tonight to start it! Will let you know how it goes! Thank you for sharing such a lovely pattern! This scarf is too classy for words! Patricia, you’re welcome! Have fun working on it this evening! Is row 2 supposed to be a sc in the third loop or a hdc in the third loop? It says sc but everything else talks about a hdc. Wow this turned out gorgeous! I made it in a black/brown/dk green variegated wool for my BIL, and made it bigger than you suggested, but it looks so fantastic! Really classy for a guy too! I’m also doing the En Vie La Rose one for my sister, and it’s turning out gorgeous too! I’m really loving your patterns…they are beautiful! Thank you so much for sharing! The infinity scarf is near the bottom of the post and starts with a chain of 228. I hope that helps! Your patterns are beautiful. I have made the La Vie en Rose Earflap Hat and Ladies Scarf. I’ve also made the Wanderlust Beanie. I have a question on the Wanderlust Scarf. Are you supposed to end with a FPdc or BPdc before the last dc on row 3? If stitch count is 2+1 wouldn’t you start with an odd number? Thank you! It’s been a while since I’ve worked this pattern and don’t have the scarf to check, but if you end with a FPdc in row 4, it doesn’t really matter as long as the last stitch in the row is a dc. You will be working the next row on the back side of the stitch, and since they are supposed to alternate, you can start the row with a FPdc (it will appear to be a BPdc if you look at it from the opposite side), and start alternating from there. 229 is the odd number, the extra stitch when you first start out is your turning chain. 🙂 I hope this has helped instead of cause more confusion! Thanks for the reply. I’m still confused, but will just continue on with what I started with. For the infinity scarf rnd 1 says hdc around then join to sc. am I missing something? I’ve tried the scarf a few times, which calls for a multiple of 2+1. Your starting chain is 230. If you applied 2+1 for the 130, the math doesn’t add up. 230-1=229, is not divisible by 2. It’s a lovely scarf, but the math doesn’t add up. The 229 is the multiple of 2 + 1. (228 +1) the 230th chain is the turning chain. 🙂 I hope that clarifies! I was looking for the video on row 3, working in 3rd loop, on your FB page but can’t seem to find it. Here is the link. It is for a different pattern, but the technique is still the same. 🙂 Good luck! Is it okay to FSC to start this scarf? 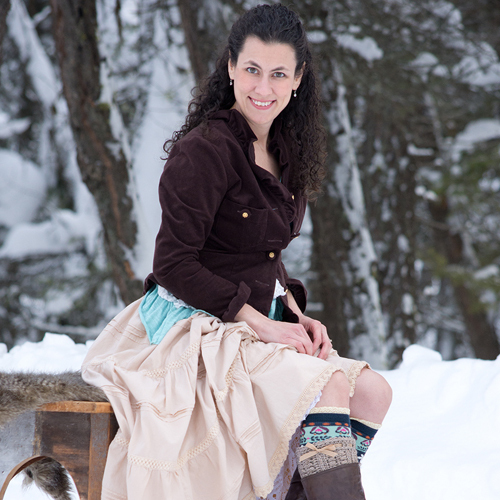 I like the scarf pattern but would like to make it shorter and can’t figure out how many to chain. Is there a way to figure that out? Hi Cindy, this pattern is written in multiples of 2+1 plus one more for the turning chain on the first row. Look at my gauge (which is how many stitches are in 4″) and multiply that number by 3 to see how many stitches should be in a foot (roughly 39), then subtract that number from the total (the original row count was 229), and make sure the number is divisible by 2, then add one more stitch (plus one more for your turning chain). This method should allow you to go up or down in length to create the perfect scarf. 🙂 I hope that helps! Thank you! Glad you like the scarf! 1. I’ve done the first 7 rows and I know now that it’s not going to be 6” wide. The tension is much too tight! I’m guessing the 9th row is the middle row. 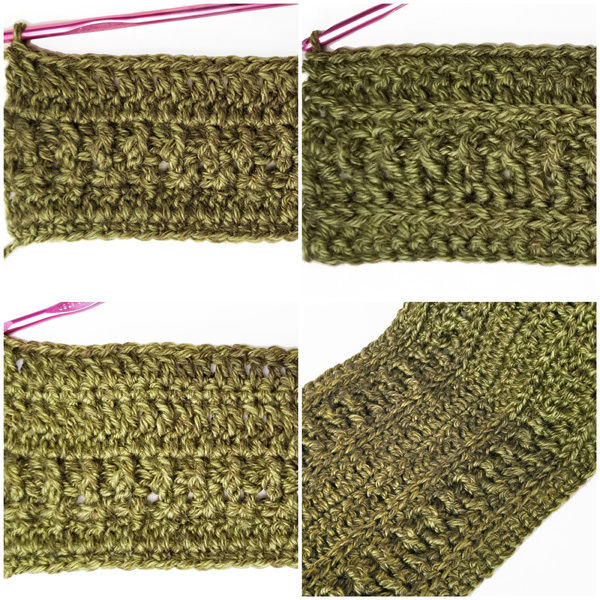 Can I do an additional 9A and 9B same as row 9 and then pick up your repeat or rows 2-6 without spoiling the symmetry of the scarf? I’m not able to visualise the design symmetry from your instructions! Please help! 2. Once finished I’d like to post pictures and a link to your pattern on my blog. I will of course credit you. Is this okay by you? My blog is on PenNShutter.com – I’ve not yet started posting my crochet projects but you will see that I always link back to those who have helped me in any way. I’d suggest repeating rows 2-6 again that then finishing with the rest of the rows. 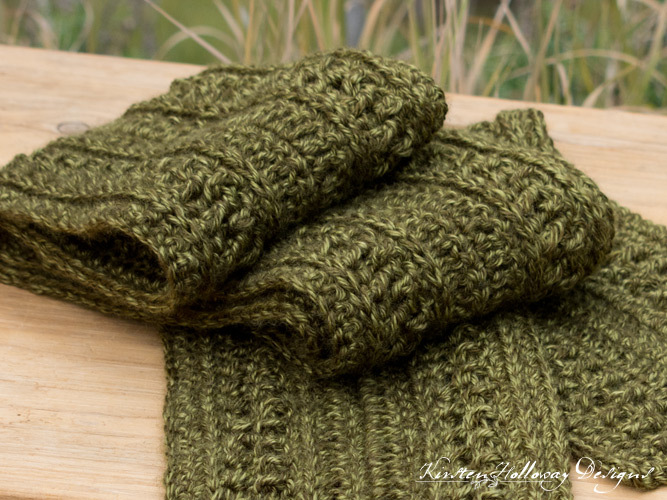 🙂 You are welcome to share pictures of your finished scarf on your blog, and a link back here to the pattern would be much appreciated! Thank you! 2-6, 2-6, 7 onwards follow the original pattern? The first 7 rows I’ve used exactly one ball of yarn. I have just two balls left. Do you think it’s enough? There is no way I can get more yarn! Yes, that should work. 🙂 I don’t know for sure how many yards are in each ball of yarn that you have, but I’ve listed approximate yardage in the “Materials Needed” section. I used a little over 1 1/2 skeins of Lion Brand “Heartland” for this project, but 350-375 yards of almost any worsted weight yarn should work. Thank you! I’m going to pick it up again now and pray for the best! I will post again as soon as it’s done! You’re welcome! I hope it goes smoothly, and I can’t wait to see your post! Hi Kirsten! Just to tell you that it got made! I am putting a post on bellacoco and will link to you of course! I do hope you can see the pictures there! Thank you! Wonderful! I’m so glad you got it to work! I’ll look forward to seeing your finished project pictures! I have a question about row 2. Is that row done in the 3rd loop? Row 2 is worked normally into the sc stitches from row 1. Row 3 is where you start working into the 3rd loop of the hdc stitches that you made in row 2. 🙂 I hope that clears things up! Hi! I just started this tonight, did row 1 properly, but when I finished the row of hdc, I ended up with 228, not 229. I went back and looked but didn’t skip anything, am I doing something wrong? Hmmm, I’m not sure how you ended up with 228 either. Your original starting chain should have been 230, and if you worked into the second ch from your hook (not skipping 2 chains) that should have given you a count of 229. You can either tear out and start again, or, you can put an extra hdc in the last stitch and call it good. This pattern is pretty forgiving. 😉 Good luck! I’ve mastered the art of adding a stitch at the end and calling it good! It works 99% of the time, I’d say! I’ve done that plenty of times too! Haha! This is such a beautiful pattern for the yarn color. I have this on my crochet to do list. Thank you for taking the time to create this, write the instructions, and share. I was wondering how I could adapt this pattern to be made with bulky (weight 5) yarn to make a chubbier scarf? You could make it with chunky yarn and follow the instructions as written to make a super scarf. 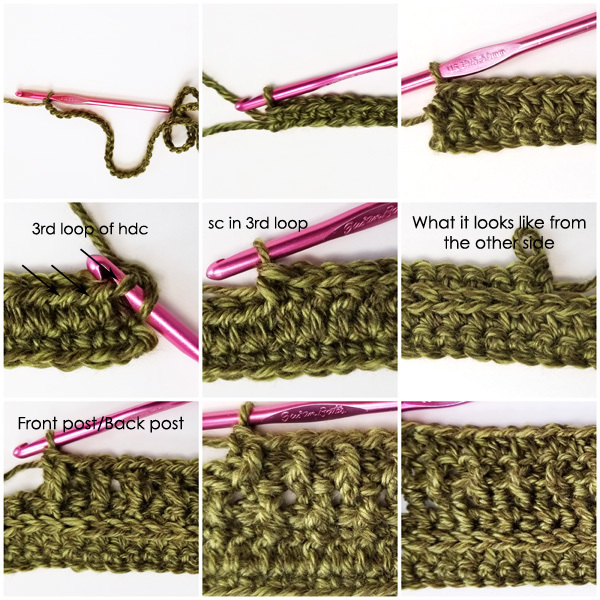 Because of the pattern repeats it’s not possible to make it narrower, but you could use the multiples (listed in the additional notes section) coupled with a gauge swatch using the hook and yarn of your choice to calculate the length. Good luck! I just finished making this for my future dil to go with the 3 beanies in this pattern that I had already made for her. It turned out beautifully. Thank you for the pattern. Hi, I’m very new to crochet and I’ve been trying out some of your lovely patterns. I’m currently working on the non-infinity version of this scarf and the length is coming out well, but I’m only on track for a 4” wide scarf. Do you have any advice on how to keep my stitches taller? I know I can add extra rows, but I’d like to keep as close to the pattern as possible in the future. Thanks! !